The HTC One is the flagship smartphone from HTC. 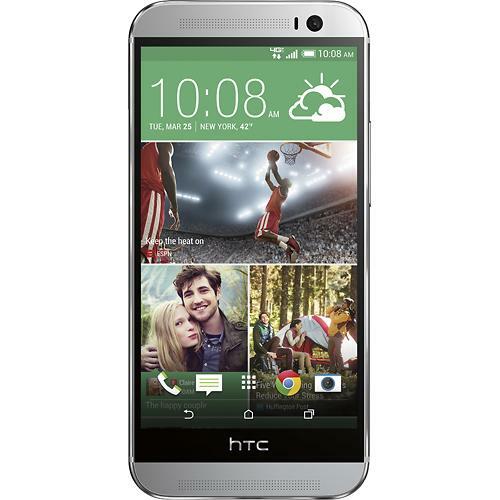 The HTC One M8 is released in 2014 and is the latest version of the HTC’s flagship smartphone. Listed below are the top 10 best HTC One M8 (2014) cases and covers. 1. StilGut UltraSlim Genuine Leather Case for HTC One M8: The StilGut UltraSlim Genuine Leather Case for HTC One M8 looks beautiful in cognac brown. The case is handcrafted from genuine leather and is available in 8 different colors. 2. Spigen HTC One M8 Case: The dual-color Spigen HTC One M8 Case looks good. It’s good looks are especially elevated in satin silver and champagne gold colors. 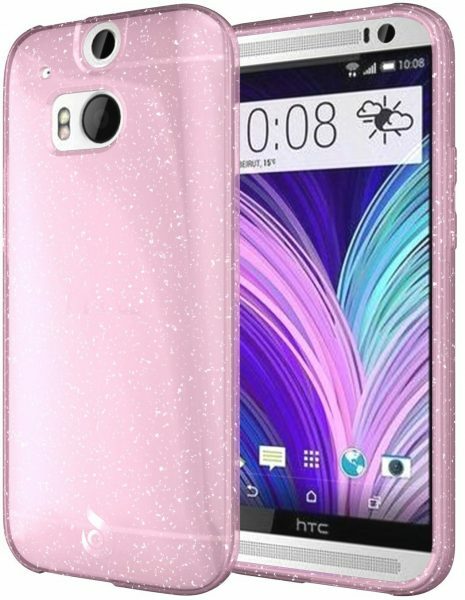 This HTC One M8 (2014) case is available in 6 colors. 3. Urban Armor Gear Case for HTC One M8: If you need a super tough case for your brand new HTC One M8, the Urban Armor Gear Case for HTC One M8 is an ideal choice. 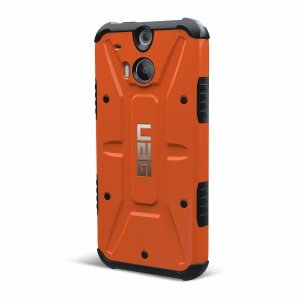 The Urban Armor Gear Case for HTC One M8 meets military drop-test standards. It is available in 5 colors. 4. Supcase Unicorn Beetle Premium Hybrid Protective Case for All New HTC One M8: The Supcase Unicorn Beetle Premium Hybrid Protective Case for All New HTC One M8 has a sporty design and provides ample protection to the HTC One M8 through the raised bezel on the front and the shock absorbing bumpers on the back. The all new HTC One M8 case is available in 7 colors. 5. Otterbox Commuter Series for HTC One M8: The Otterbox Commuter Series for HTC One M8 is slim and offers good protection to the HTC One M8 from drops and bumps. The built-in screen protector protects the touchscreen from scratches. 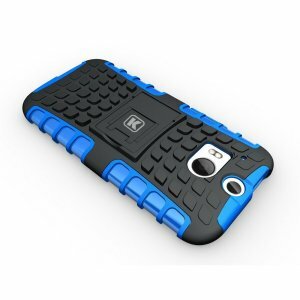 The Otterbox Commuter Series HTC One M8 case is available in 7 colors. 6. 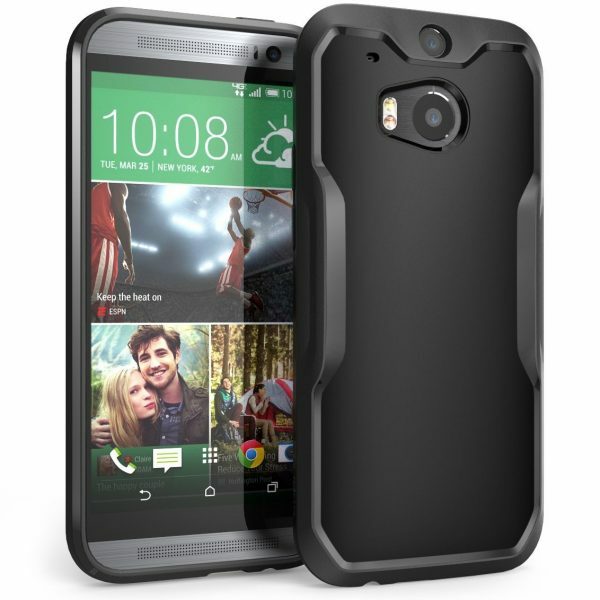 Kayscase ArmorBox Hybrid Cover Case for the HTC One M8: The pattern on the back of the Kayscase ArmorBox Hybrid Cover Case for the HTC One M8 offers great grip and the raised lip on the front protects the touchscreen from scratches and impact. This HTC One M8 2014 case is available in 5 different colors. 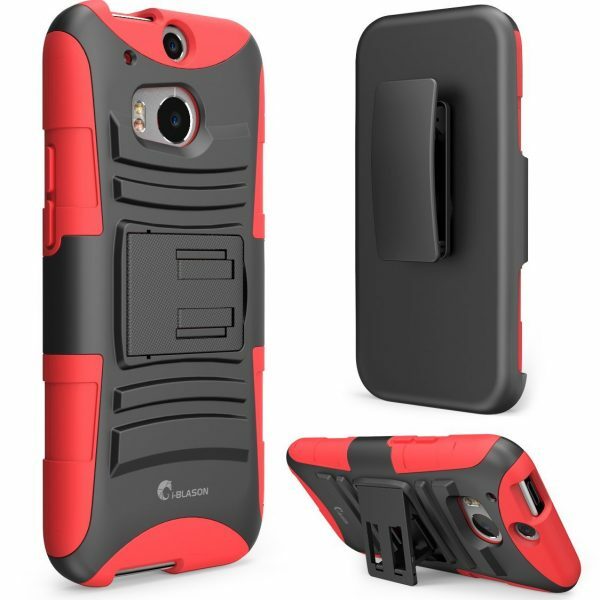 7. i-Blason All New HTC One M8 Case: The i-Blason All New HTC One M8 Case is a tough looking smartphone case equipped with a kickstand and a belt clip swivel holster. 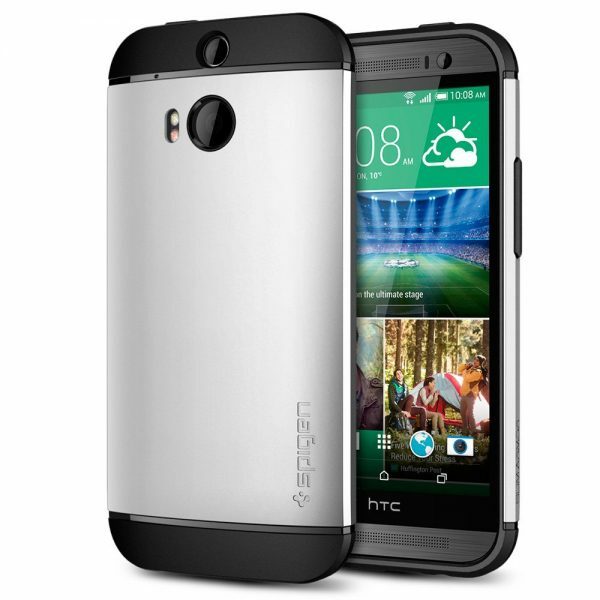 The i-Blason All New HTC One M8 Case is available in 3 colors. 8. 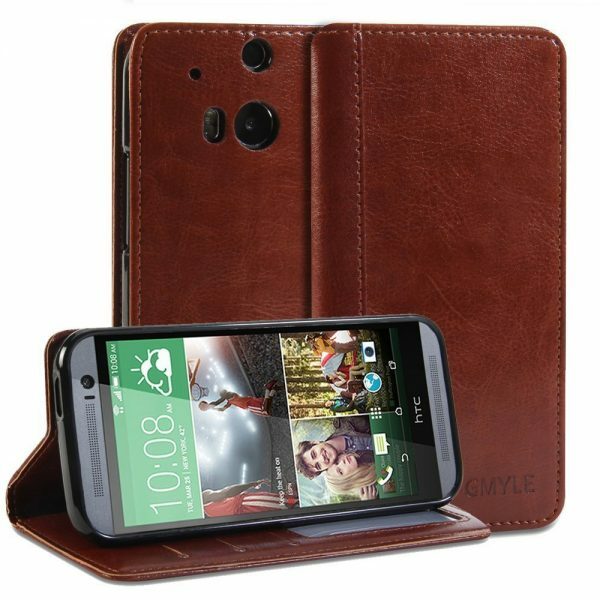 GMYLE HTC One M8 Wallet Case: The GMYLE HTC One M8 Wallet Case is made from PU leather. 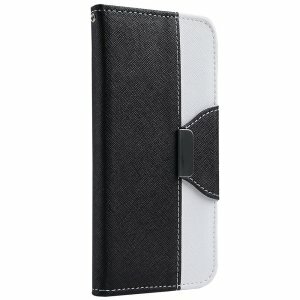 This slim fit folio wallet case cover also functions as a stand. The GMYLE HTC One M8 Wallet Case also has three card slots and a money pocket. The wallet case is available in brown, teal and rose red colors. 9. Diztronic Light Pink GlitterFlex TPU Case for HTC One M8: If you love some glitter on your smartphone, the Diztronic Light Pink GlitterFlex TPU Case for HTC One M8 is ideal. If you are not a fan of glitter, the case is also available in black and aluminum gray colors. 10. ULAK HTC One M8 Wallet Case: The ULAK HTC One M8 Wallet Case is available in dual-colors. This HTC One M8 (2014) wallet case has card slots for your bank cards and business cards. These are the top 10 best HTC One M8 (2014) cases and covers. Do let us know through the comments your favorite HTC One M8 case/cover.